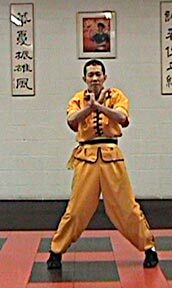 Chan Hing-Fai has varied experience in martial studies. 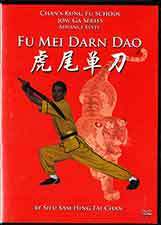 Beginning at the age of eight, he studied numerous arts under well-known instructors: Judo (7th Dan Sensei Chan Siu Shing of the Chi Yui Judo Association), Tai Chi (Wu Bin), Wing Chun (Ip Ching and Ip Chun). His Jow Gar training comes directly from Lee Ngou, one of Jow Biu's top disciples (Hong Kong). He studied Jow Gar, Chinese herbal medicine and the Jow Family style of Lion Dance. He has won numerous awards and sits on organization boards in the martial world. "Small Tiger Form", is the first hand form taught to all beginner level students to help familarize them with the movements, stances, and techniques of Jow Ga and to develop their coordination. 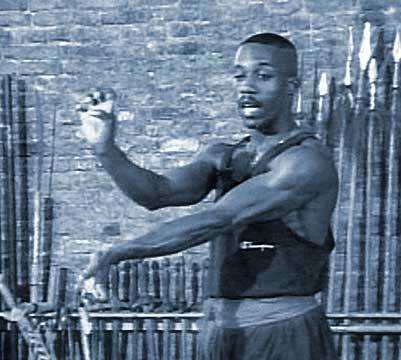 10 Poison Hands, created by Hung Gar Master Wong Fei Hung, is one of the foundational forms in Hung Ga Kung Fu. Poison Hands demonstrates solid stances, dynamic strength, and methods of generating power energy through coordinated body movement. A very dynamic form there are recognizeable sections from Gung Ji Fuk Fu and Tiger Crane throughout the set. Much emphasis on continually exhalation and sound with a particular emphasis on the "Wah" of the Tiger. 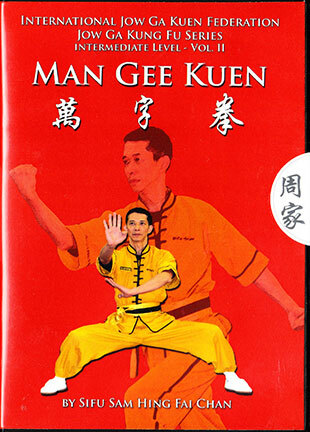 This DVD Shows Siu Hung Kuen, 3rd hand form of Jow Ga Kung Fu. This forem is meant to tach students how to generate power through speed in their strikes as opposed to using raw muscle power. 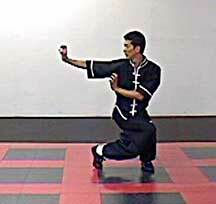 It specializes in the whipping strikes associated with Choy Lai Fut or Hong. Students are also introduced to basic weaponry with two-handed batons. The Two Headed Staff is the first weapon of the Jow Gar system and it retains the flavor of the style. 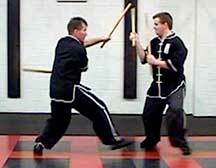 The form is not a Hung or Choy set but a staff routine unique to Jow Gar. Very clear movements and strong energy. 1000 Character Boxing is considered the seed from which all the other Jow Ga springs. 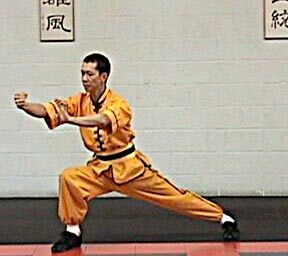 It is the form that melds Hung hand and stance work with Choy Gar kicks and Shaolin footwork to make a new things called Jow Gar. Incorporating dynamic breathing techniques , 1000 Character is a long, sophisticated form but with very clear movemetns and intent. 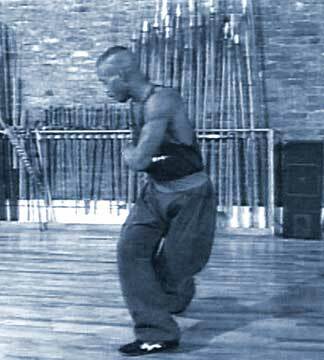 The Iron Wire Fis, adopted from the Hung style, is a top level form concentratin on Hei Gong, or internal power rather than fighting movement. It is composed of very unusual, often asymmetrical positons down with dynamic tension and sinchronized with special vocalizations geared toward specific internal organ groups as defined by Chinese medicine. Besides great forearm power, Iron Wire works on strong rooting skills. This form is demonstrated only with very few comments. Some of the verbal instruction is scattered through earlier DVDs in this series so the Iron Wire is introduced in sections. This DVD is more of a reference on the entire form performed and shown frontally and in lateral view. 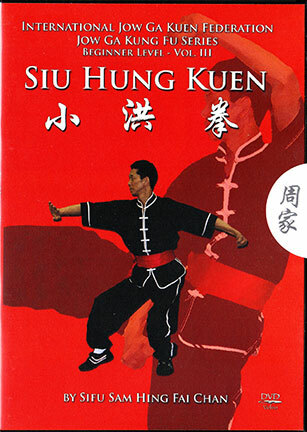 This DVD presents the complete Tat Sin Kuen Form, and then Sifu Chan breaks it down into six easy to learn sections. The Tiger Tail Single Saber. There are a number of unusual aspects to this middle-longish set which are in keeping with Northern/Southern differences in style. At first look there are a number of section where the free left hand is used with a fist to strike, of held on the hip or generally used in a blocking pattern. Certain stances such as the drop knee maintain the overall impression of Southern style in general and Jow Gar in particular. Form, breakdown and Appications are all shown. This is considered and Advanced Level set. This Southern Boxing Two-Person set gives the flavor and the character of Jow Gar. 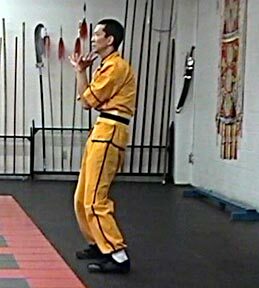 Similar to a Hung Gar set there are deep stances, controlled and distinct body adjustments with clear footwork. Strongly bases on arm conditioning it also shows Chin Na locks and counters, Long Arm Swing fists and easily looped patterns of movement. Included is the form with its breakdown, bag drills and partner drills for conditioning and blocking. This is considered a Beginning Level form in this style.It is the first partner set in the style and is based on the actions of Conquering the Tiger. 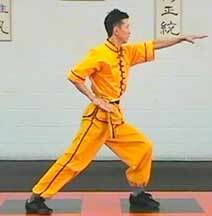 Southern style of Kung Fu that combines Northern Shaolin, Hung Gar and Choy Gar. It's movements are both Long and Short and might, within the phrase, go from a Tan Tui style Yoke Punch to a Phoenix Eye Fist.With obvious relish for his subject Ron Wheeler, a student of Dean Chin, proceeds to show us the components of his system. He then demonstrates first the classical applications then makes some nice correlations to the street defenses and shows how they relate to the classical. Wheeler has an excellent presentation only occasionally stumbling over his words because he has so many ideas going on at the same time. A straight forward and very clear teacher you get that sense of wanting you to "get it." NOTE: These DVDs were made from ESPY's original video tapes and do not have all the advantages of more recent DVDs such as chapters. This form is said to be the "heart" of Jow Gar. It contains all the key elements of the system including the "one inch punch". This is a long form for an introductory and the moves give a strong sense of the Jow Gar sysem.In addition, the DVD shows training drills and applications. Quantity $19.95 each or a 10% discount for ordering 3 or more ESPY DVDs. This set introduces Jow Gar's internal training through dynamic tension. It includes rapid attack oriented footwork. It also follows Jow Gar's concept of bi-lateral practice. A tight fast form with butterfly hands and come Crane work. Applications are shown at the end. The third form in this series of Jow Gar's key sets. This, as in the Hung style, introduces the Southern Internal. This set is more complex, and it adds soft, slow movements such as Taiji. Applications shown. This is considered an intermediate form. This intermediate/advanced form is a sort of recombination and tribute to the Hung system first learned by Chow Loung. But there are some distinctive features such as movement from the shoulder stance. Also "walking the horse " drill developed by Dean Chin and applications.